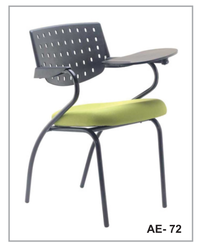 Writing Pad Chairs, Tablet Arm Chair online with Price, Manufacturers, Suppliers, Traders and Companies in India. Size: 11.5", 13.5", 15.5", 17.5" 18.5"
We understand Customer Satiusfaction is the Path to the running of a Successful business. Our furniture meets International Standards and is desined Ergonomically for superior comfort and quality assurance. We beleive in Make In India concept and promise our customers satisfaction at all levels. 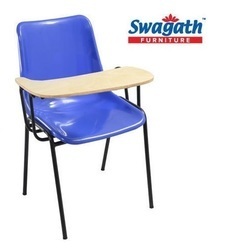 We offer our clients a classic gamut of Training Chair with Writing Pad.rafted using quality raw material, our range is available in various designs and customized finishes to suit the demands of customers.